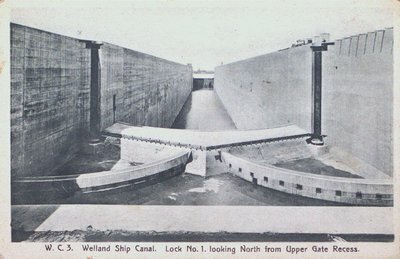 A postcard of the Welland Ship Canal (fourth canal) and Lock #1 looking north from the Upper Gate Recess. c1930s. Published by F.H. Leslie, Limited, Niagara Falls. Printed in Leipzig, Saxony.